Stock Market Breaking Down After Long Uptrend. More short-term Weakness Ahead? Perspective is important. After a very steady rally over the past 3 months, the U.S. stock market is finally starting to “break down”. But before you panic, realize that this “break down” is very small in the grand scheme of themes. Some traders are looking for a retest of the 200 day moving average. Several market studies support this short term bearish case. *Please be careful: the short term is mostly random and is rarely better than a 50-50 bet. For starters, the NASDAQ 100 has broken below its 50 day moving average for the first time in 5 months. Historically, this led to more short term weakness for stocks over the next week. 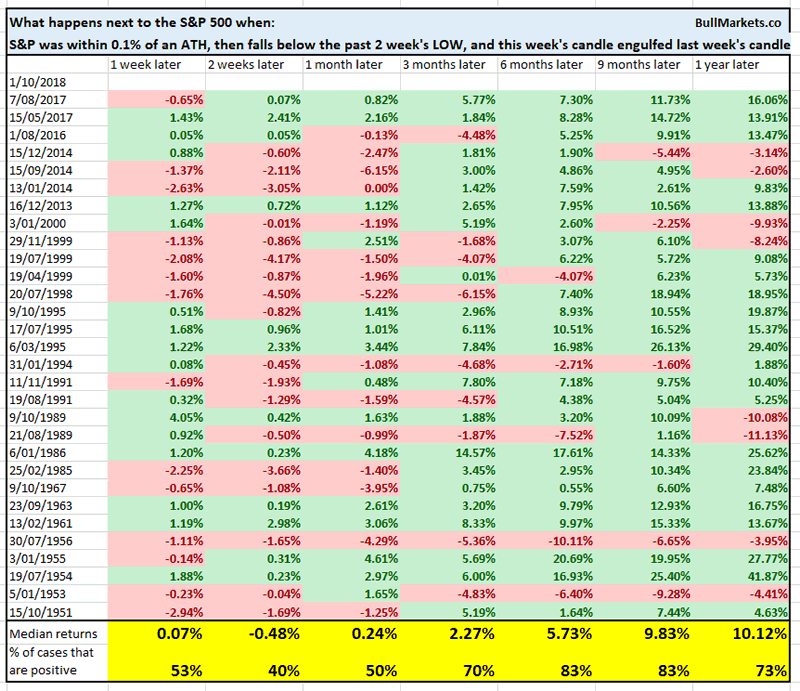 This week’s reversal in the S&P 500 was intense. 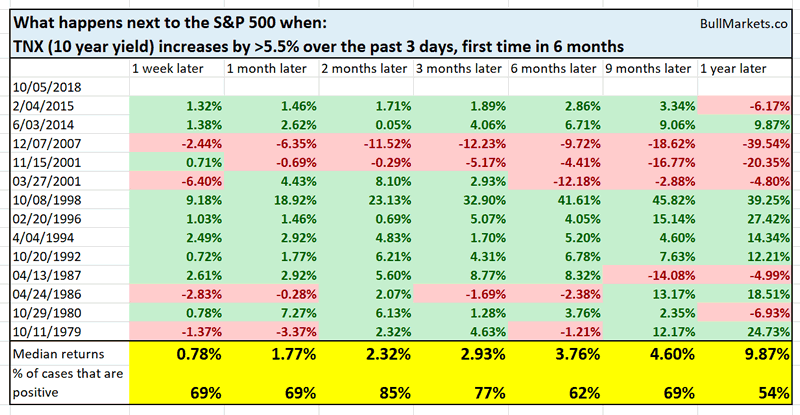 Short term weakness (2 weeks later S&P up only 40% of the time). Long term strength (see 6-9 months forward returns). Should you panic about rising interest rates? Yesterday’s market study answered that question with a resounding NO. Today’s study reveals the same thing. 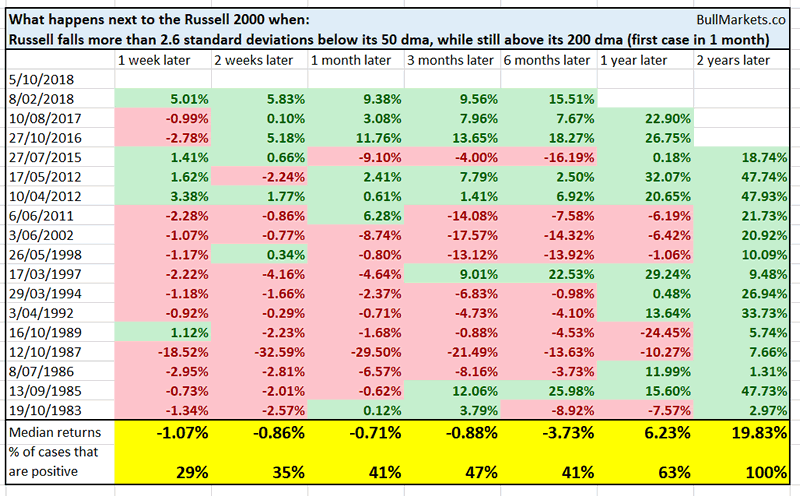 And lastly, the Russell 2000 (small caps index) has reversed downwards in a very intense fashion. 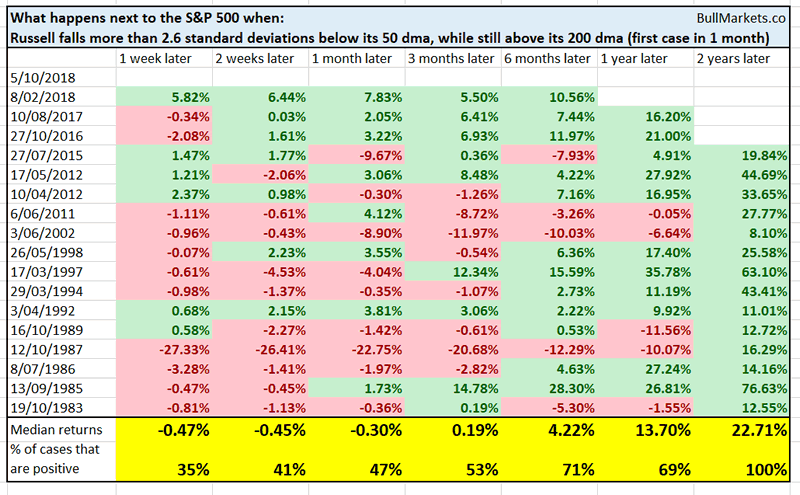 It is now 2.6 standard deviations below its 50 day moving average, while still in an uptrend (i.e. above its 200 day moving average). 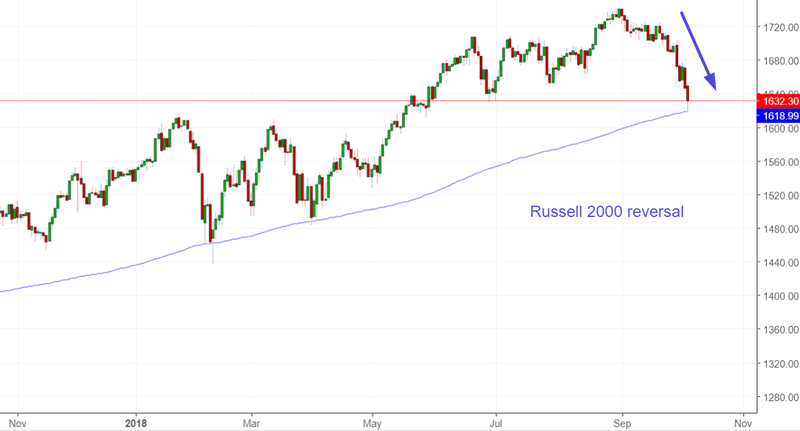 Historically, this led to short term weakness for both the Russell 2000 and the S&P 500 over the past 1-2 weeks. However, the long term was clearly bullish (see 1-2 years forward returns). 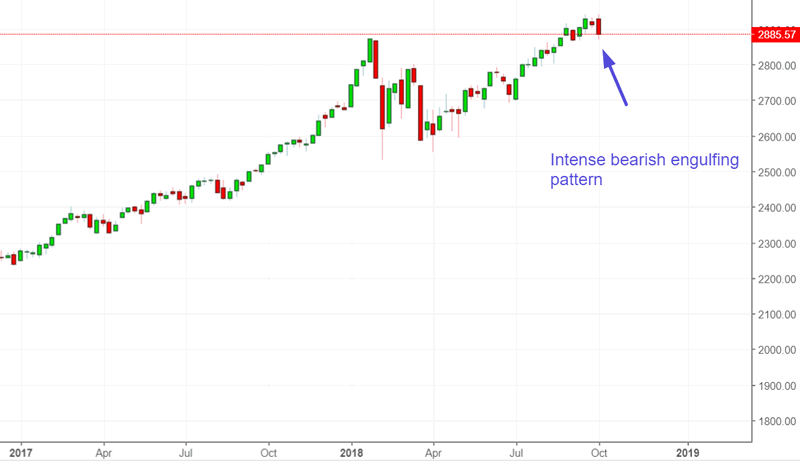 After a multi-month strong and steady uptrend, the U.S. stock market is breaking down a little. Historically, this led to some more short term weakness. However, the long term was bullish. Because the first breakdown after a strong and steady uptrend isn’t usually the start of a major market top. Market market tops are preceded by rallies that are accompanied by much more volatility.